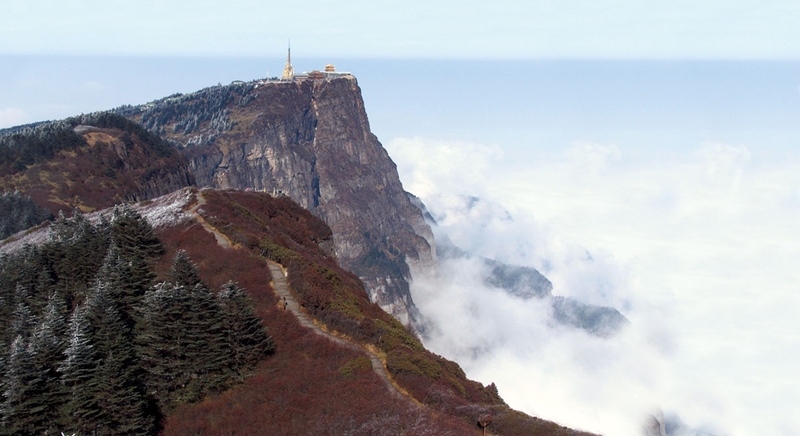 Emei Mountain is a world heritage site and “conservation” is its most important mission. To realize the goal of turning the Nirvana on Emei Mountain into the “top mountain the of World” however, an act of “creation” is required. 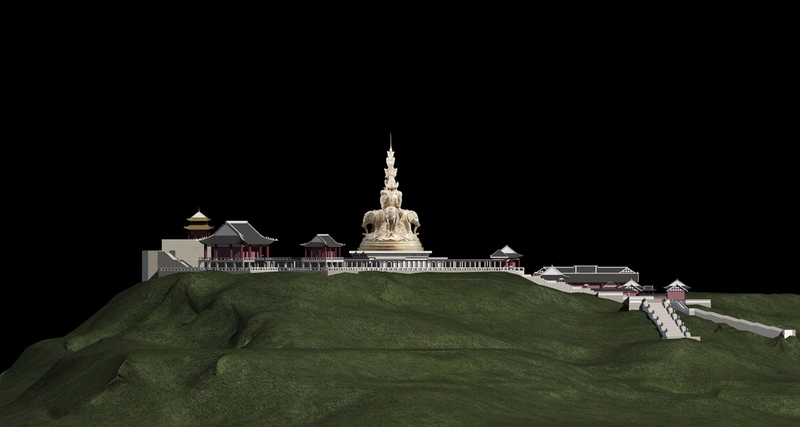 The principle behind the project was therefore “creative conservation.” Planning must account for both the protection of Emei Mountain’s ecology and Buddhist culture to preserve its natural beauty and cultural heritage. The Nirvana on Ermei Mountain is sacred ground to Buddhism. Guided by the twin strategies of “criticism / inheritance” from Buddhism and “innovation / development” from the temples, a master plan based on “Buddha, Dharma, and the Sangha” was adopted to create a sacred site for international Buddhism. 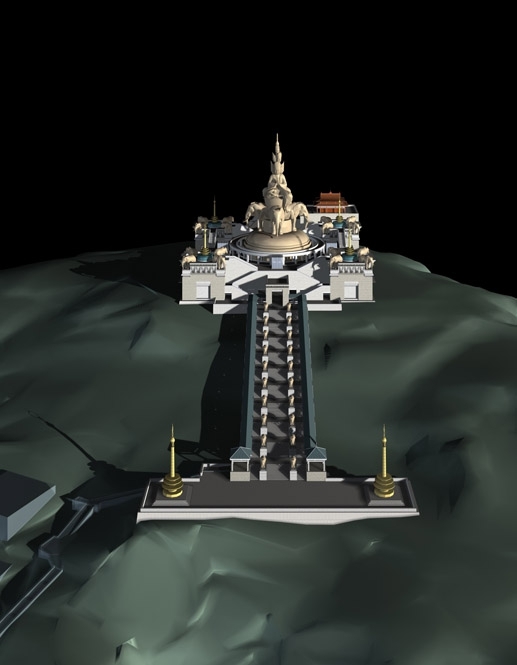 In the “Buddha, Dharma, and the Sangha” master plan, the “Buddha” is centered around the “Golden Samantabhadra Bodhisattva of the Ten Directions” on the Golden Summit. 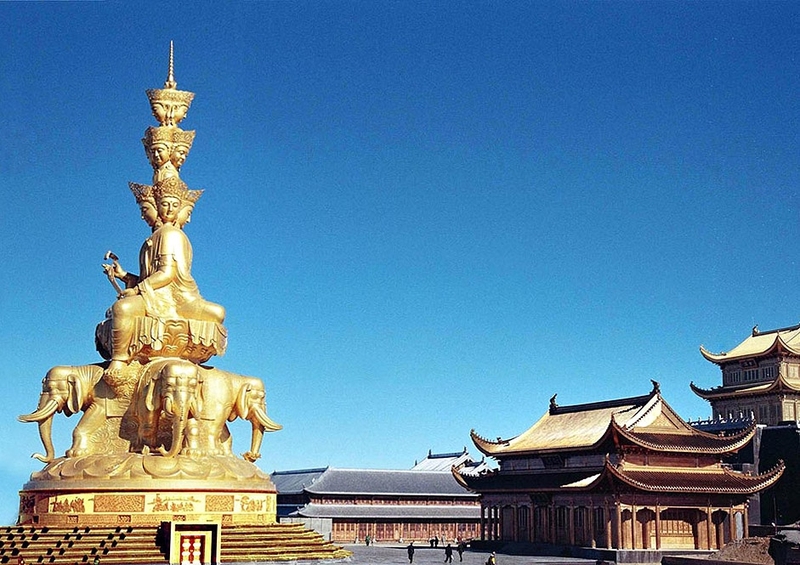 “Dharma” is represented by the sacred platform half way up the mountain while the “Sangha” is symbolized by the Shihfang Buddhist Temple’s Golden Tower in the city. the starting point for its journey to become the greatest mountain in China and the world.